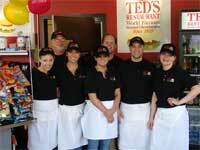 Take a look at the image galleries and videos to get a feel for what Ted's Restaurant is all about. 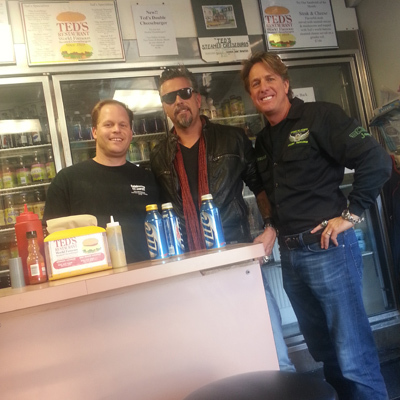 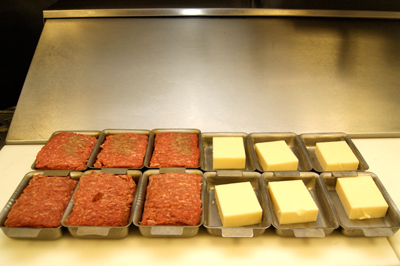 See what's been going on behind the scenes at this world famous burger joint! 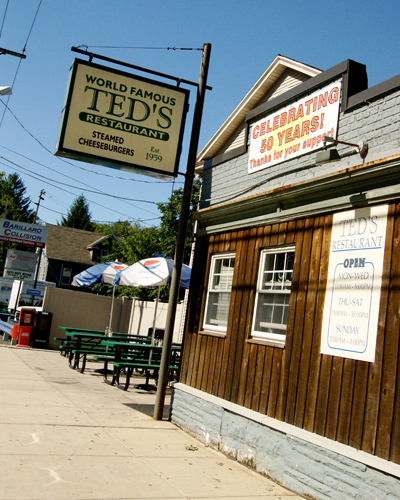 View images inside and out of Ted's Restaurant in Meriden, CT.
Ted's hosted a grand opening celebration in honor of their new Cromwell location. 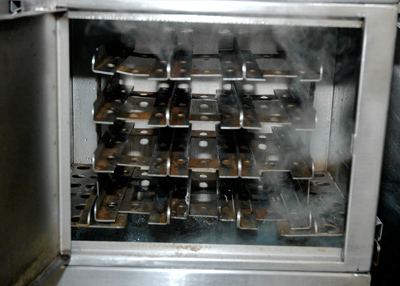 Prizes and giveaways were included during the festivities. 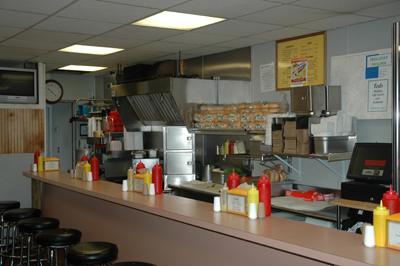 About twenty miles south of Hartford, in the city of Meriden, Connecticut, there's a little family-owned lunch-counter named Ted's. 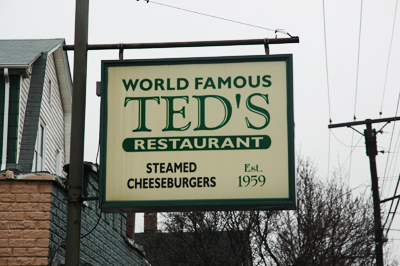 But it's better known as the home of the steamed cheeseburger. 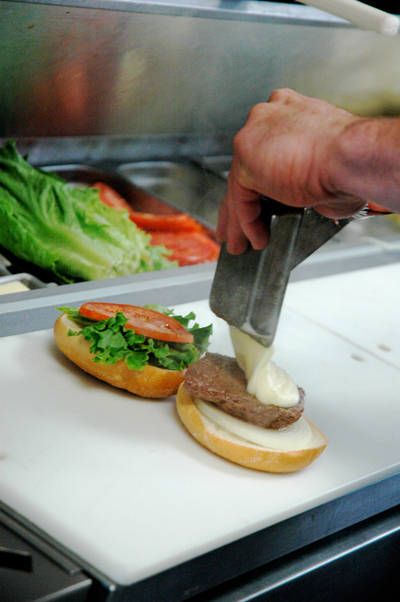 Steamed Cheeseburgers are a unique delicasy only served in this area of Central Connecticut, and Ted's has been doing it since 1959. 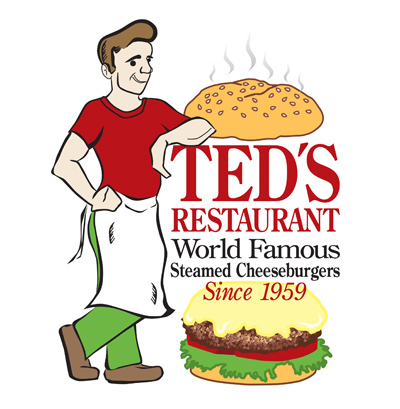 Ted's is World Famous for their steamed cheeseburgers and The Destination Guide is famous for finding places just like Ted's. 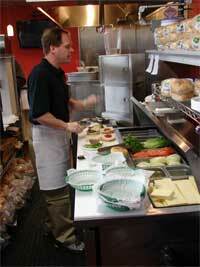 We go behind-the-scenes with owner Bill Foreman and get the inside scoop on their new location. 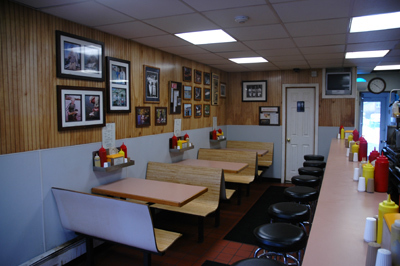 No stranger to the national media limelight, Ted's Restaurant in Meriden was featured on the Travel Channel's show "Hamburger Paradise." 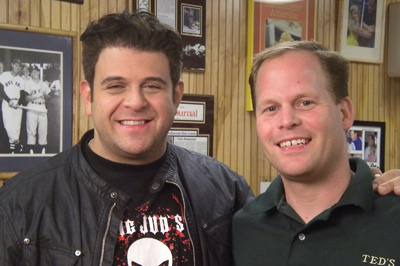 MyRecordJournal.com cameras caught up with Ted's Owner/Operator Bill Foreman before the show aired and tried to learn the secret to Ted's famous secret cheese. 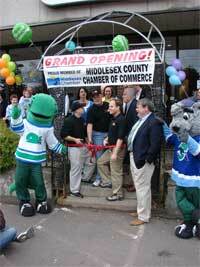 Video for myrecordjournal.com, a community-based news site located in Meriden, CT.